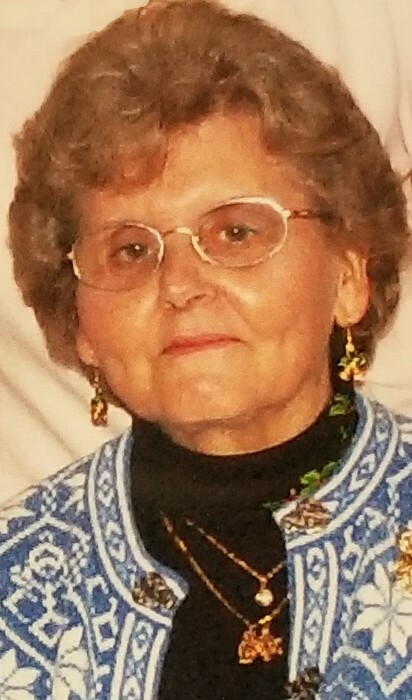 Audrey Ann (Willen) Luhrsen, 83, of Aurora, Indiana, passed away Saturday, March 30, 2019, in Rising Sun, IN. She was born Thursday, June 6, 1935 in Lawrenceburg, IN, daughter of the late Bernard and Marie Willen. She graduated from Lawrenceburg High School in 1953 then attended Nursing School at Good Samaritan Hospital School of Nursing in Cincinnati, Ohio, graduating in August 1956. Audrey worked as a Registered Nurse at Good Sam Hospital and with local Lawrenceburg doctors until her marriage in June of 1960 to Donald Luhrsen of Aurora. Audrey embraced military life as a spouse of an Air Force Officer, becoming involved in many clubs throughout their 20 years of service. She went back to nursing in 1977 at several nursing homes in Texas and Florida before returning home to Aurora in 1996. She was a member of the Indiana Nurses Association. Audrey loved to sew and work in her flower garden, especially her rose bushes. She was also an avid reader and enjoyed crossword puzzles. Audrey also loved traveling, she especially enjoyed Alaska and Europe. She not only spent every minute that she could with her 3 granddaughters and great grandsons, but she treasured every moment as well. Audrey is survived by her sons, Doug (Nan) Luhrsen of O' Fallon, IL, Greg Luhrsen of Bennington, IN; granddaughters, Cassie Luhrsen, Brooke (Brett) Muenchow, Megan (Joe) Mueller; great-grandchildren, Preston & Tucker Mueller; sister, Joan (Vic) Grieve of Aurora, IN; sister-in-law, Linda Luhrsen Farmer of Aurora, IN. She was preceded in death by her husband, Donald Luhrsen, parents, Bernard and Marie Willen, sisters, Jackie Johnson and Wanda Green. Friends will be received Wednesday, April 3, 2019 from 5:00-7:00 pm at Rullman Hunger Funeral Home, Aurora, Indiana. Services will be held at 11:00 am,Thursday, at the funeral home with Pastor Tommy Beatley officiating. Contributions may be made to the Fisher Center for Alzheimer's Research Association. If unable to attend services, please call the funeral home office at (812) 926-1450 and we will notify the family of your donation with a card.